Democrats and Republicans in Congress have reached an “agreement in principle” on President Donald Trump’s proposed border wall funding, as the government is days away from a potential shutdown. The agreement reportedly includes $1.375 billion for physical barriers, which would be bollard, or basically a concrete-filled barrier that protect office buildings and shopping malls across the U.S. There would also be nearly a 17 percent drop in the number of ICE beds the administration had sought, bringing the number to 40,520 overall, over 8,000 beds, in which Republicans have pushed back against, saying more criminals will be on the streets if they are not in ICE custody. “We need to listen to the border security and law enforcement professionals as we negotiate an agreement on border security funding. The National Sheriff’s Association has warned against the Democrats’ proposal to limit ICE’s ability to detain violent criminals. We need to listen to the law enforcement professionals so that we can reach a result that protects our national security,” North Dakota Republican Sen. John Hoeven told The Daily Caller News Foundation Monday afternoon. 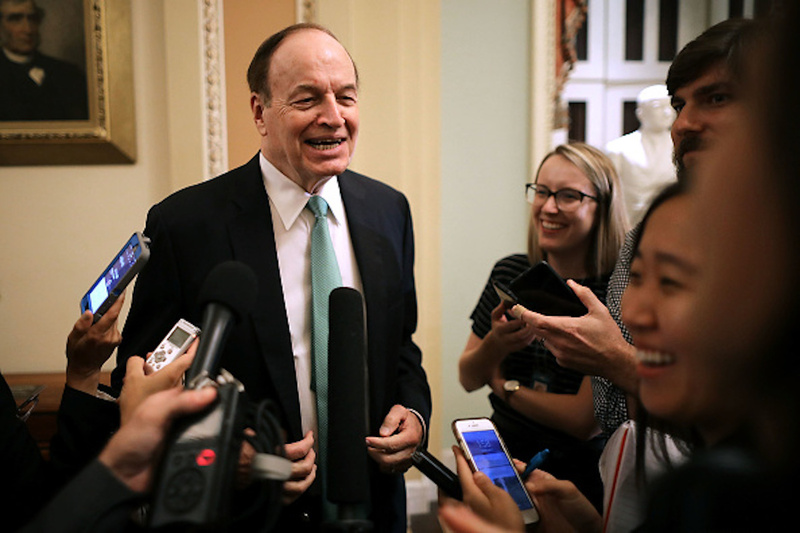 Alabama Republican Sen. Richard Shelby told reporters on Capitol Hill that he believes Trump will approve of the agreement, according to Fox News. This comes as both House and Senate lawmakers met at a closed-door meeting on Capitol Hill. The government is set to shutdown on Feb. 15, giving Congress just four days to put forward legislation in which Trump would sign to keep a number of government agencies open. “Republicans in Congress have zero excuses if this sham makes it to Trump’s desk. No one who supports real border security can be for it. Republican negotiators didn’t even get Democrats to support what they have voted for in the past!,” a senior a GOP aide told TheDCNF after the news broke Monday night. Republican lawmakers will now have to put together a bill that a number of Democrats will also support, or else Trump’s only options would be lowering his requested $5.7 billion for border security or declaring a national emergency. Editor’s Note: This piece has been updated to reflect that the number of ICE beds has not been reduced and instead the cap the Trump administration had been seeking.